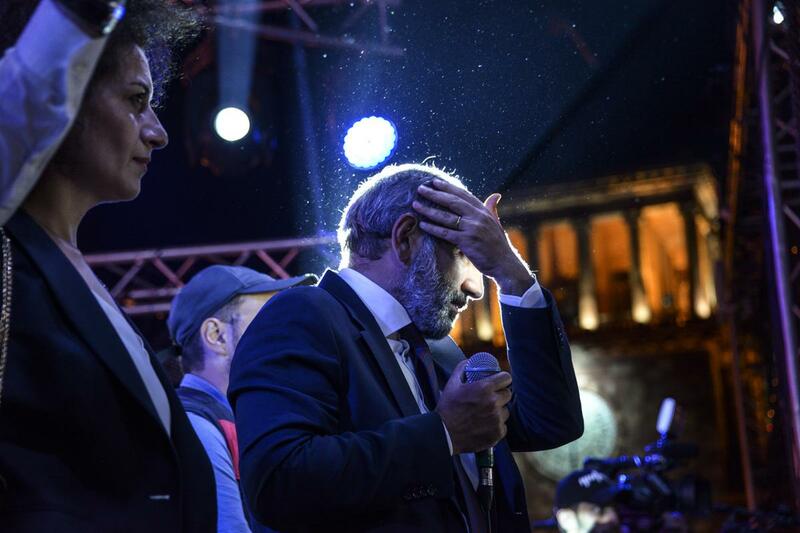 August 17 marks 100 days since Nikol Pashinyan became prime minister of Armenia by bloodlessly overthrowing the crooked old regime. The self-styled “Velvet Revolution” captured the world's attention and gave Armenians, cynical after so many years in a stagnant country, hope. Pashinyan plans to mark the occasion by returning to his revolutionary roots, holding a rally in Yerevan's Republic Square. This was the site of his nightly rallies in April, some of which attracted more than 100,000 supporters, which ultimately convinced former leader Serzh Sargsyan to step down. Three months into the “new Armenia” – as Pashinyan calls it – Armenians, for the most part, seem to like what they see. A broad anti-corruption campaign is targeting business, mostly connected to members of the old administration charged with evading taxes. 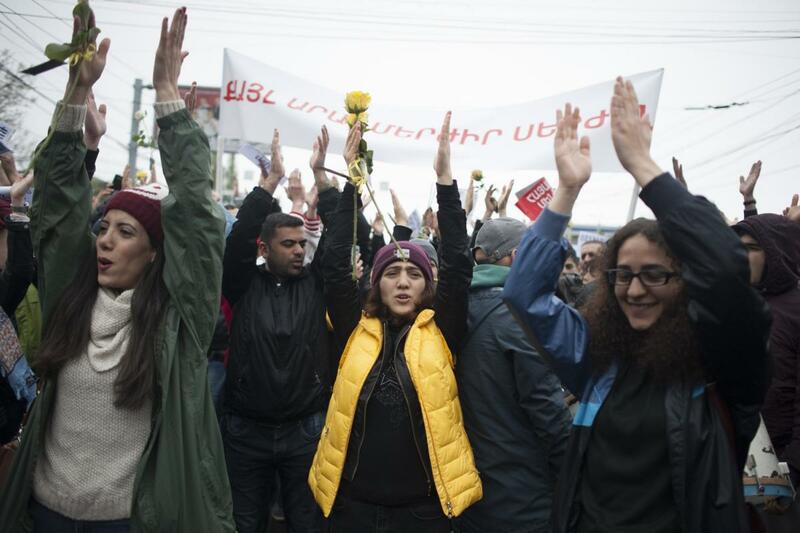 Another campaign is bringing criminal charges against former officials for one of the darkest events in recent Armenian history, the killing of peaceful protesters in 2008. Government posts are occupied by fresh, uncorrupted faces. 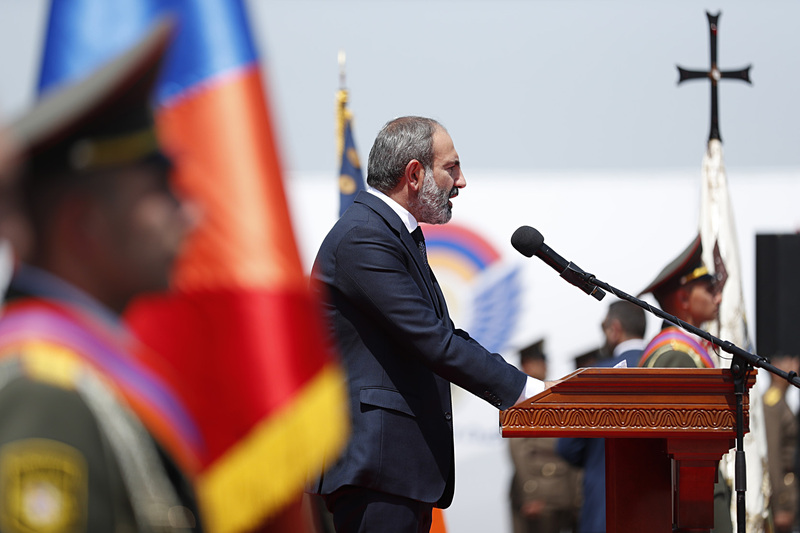 “We have solved our main task in this 100 days, which was ensuring the normal functioning of the country in the post-revolutionary period and the continuous development of the economy,” Pashinyan said in an August 16 preview of his rally speech. But there are also growing concerns – that the anti-corruption campaign is selective and lacks a long-term goal, that the 2008 prosecutions are too politicized, that the young government members are inexperienced amateurs. Some of Pashinyan’s core, socially liberal supporters are unsure about the new government's commitment to their causes. But those concerns are mainly limited to the chattering classes. Reliable opinion polls are scarce, but anecdotal data suggests Pashinyan’s popularity remains strong. T-shirts depicting his profile, along with his signature baseball cap, are still common sights. An informal survey of pensioners and others idling away a recent afternoon on park benches next to Republic Square found unqualified support for Pashinyan. The dual campaigns against corrupt businesses and former officials have been savvy political moves, said Anahit Shirinyan, a Yerevan-based fellow at the British think tank Chatham House. “Pashinyan’s government needs to demonstrate quick results, and fighting systematic tax avoidance, embezzlement and misuse [of public funds] is one way to do it,” she told Eurasianet. The anti-corruption campaign has targeted a number of businesses – mainly associated with members of the former government – which had allegedly been shirking taxes or avoiding inspections. The State Revenue Committee also has announced it will monitor that small businesses issue sales receipts, to ensure they are recording revenue accurately. Several members of the formerly ruling Republican Party have been targets of high-profile investigations into their apparently ill-gotten wealth. A televised raid on the home of a Republican member of parliament, showing his pet tiger and preserved food that schoolchildren had sent to soldiers on the front lines, shocked the nation. Pashinyan also has pointed to the anti-corruption campaign in his efforts to attract new foreign investment, one of his key campaign promises. At a July 27 business summit in St. Petersburg, Pashinyan argued that, thanks to the campaign, “all kinds of obstacles have been eliminated” for foreign investors. But some have questioned whether eliminating obstacles is enough, and whether rounding up corrupt officials is a crowd-pleasing move without a broader development strategy behind it. There have been efforts to attract investment, in particular from Armenia's global diaspora. No new significant ventures have been announced, but officials say they are working on it. Diaspora minister Mkhitar Hayrapetyan recently toured diaspora centers in the United States: Los Angeles, New York, and Boston. “I assured our compatriots that in the new Armenia no old traditions exist; anyone, no matter who he is, can never demand a 'share' from another's business, to exert pressure on the courts,” Hayrapetyan told Eurasianet. The ministry also has launched a grant program to bring startups to Armenia, offering awards of up to $30,000 and working space for promising proposals in order to “boost the startup ecosystem in the country.” The ministry also is mooting the idea of “diaspora bonds” to channel money that wealthy diasporans currently put into charity towards supporting the Armenian state budget instead. The investigations into the events of March 1, 2008, have made an even bigger splash than the anti-corruption campaign. Former president Robert Kocharyan was arrested, a former defense minister has been declared wanted, and another senior military official charged, all on counts related to the violent response to demonstrations against fraudulent election results that brought Sargsyan to power. Ruben Carranza, who runs the Reparative Justice program at the International Center for Transitional Justice, an New York-based NGO, recently visited Armenia and met several senior officials, including Pashinyan, to discuss the prosecutions. Carranza said he saw the recent charges against Kocharyan and other high-profile officials of the former regime as “almost a response to [the] expectations” of Pashinyan’s supporters. “While it’s important to respond to expectations, it’s equally important to manage these expectations, satisfying demand for justice in a broader sense,” he said. One of the most eye-catching features of the new government has been the youth of some of its highest-ranking figures. Hayrapetyan is 27, Deputy Prime Minister Tigran Avinyan and Pashinyan's chief of staff Eduard Aghajanyan are both 29. The government has presented this as primarily a caretaker team until a new government is formed after elections, which are expected in the next few months. The new leadership tends to “prefer loyalty more than bringing in established professionals, and after the election they will be under more scrutiny,” Shirinyan said. Still, the relative inexperience of many of the key figures has occasioned some complaints that the team is too green to handle the challenge of guiding Armenia through the difficult straits it's in. Foreign policy has been a particular sore spot. 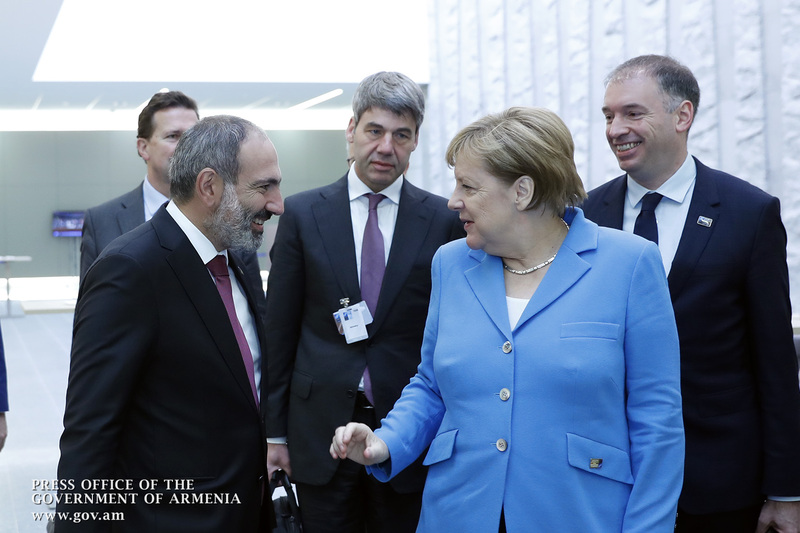 During a high-profile visit to Brussels, Pashinyan appeared to have unrealistic expectations about what aid Western countries would provide, prompting many in Yerevan to cringe. One of the more notable personnel moves was Pashinyan's Civil Contract party’s nominee for Yerevan mayor: Hayk Marutyan, a well-known comedian with little political experience. But supporters of the government say that the experience of the old administration was not helpful. The government has indicated that it intends to walk back the Nation-Army Concept, a package of legislation aimed at bringing the military into more parts of society. It was the subject of student protests last year because it attempted to weaken university students’ right to postpone military conscription. But newly appointed National Security Council Secretary Armen Grigoryan has said that the concept and its associated policies have been failures. Many of Pashinyan's young, liberal, supporters have been disheartened by the government's response to a mob attack on LGBT activists in a village in southern Armenia. The episode posed a tricky political dilemma for the government, which has to not only keep the support of liberals but of the country's large socially conservative majority. The government has for the most part kept quiet, other than a statement from the ombudsman’s office six days after the incident. Of course, 100 days is too little time to accurately assess a government's performance, and most supporters say they remain optimistic even if they've seen relatively few results so far. Grigor Atanesian is a freelance journalist who covers Armenia. Bradley Jardine is a freelance journalist who covers the Caucasus. Joshua Kucera is the Turkey/Caucasus editor at Eurasianet, and author of The Bug Pit.